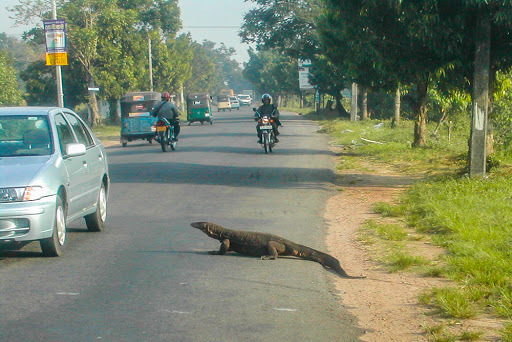 This happens often enough in Sri Lanka – wildlife crossing the road. It might be a goat or five or a herd of water buffalo or neighborhood dogs. On this day, it was a monitor lizard. When I lived in Monterey, California, there was a flock of Canadian geese that loved to stop traffic and take their sweet time crossing the road. I love it when we as humans do this.